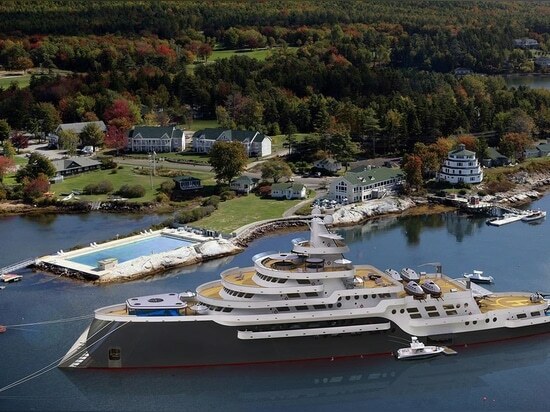 A nine-decked, 117 metre expedition yacht concept capable of carrying four helicopters has been unveiled by designer Steve Kozloff. 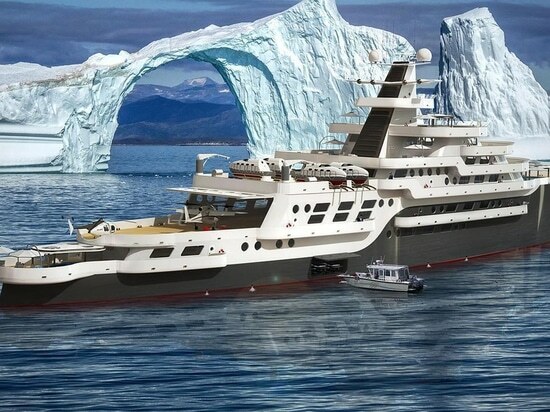 The design, Alexis, comes from the founder of the Goliath series of polar-class expedition yachts and features a steel, ice class hull and aluminium superstructure. Accommodation is for a total of 20 guests and 12 crew and comprises an owner’s suite at the stern with a private swimming pool. 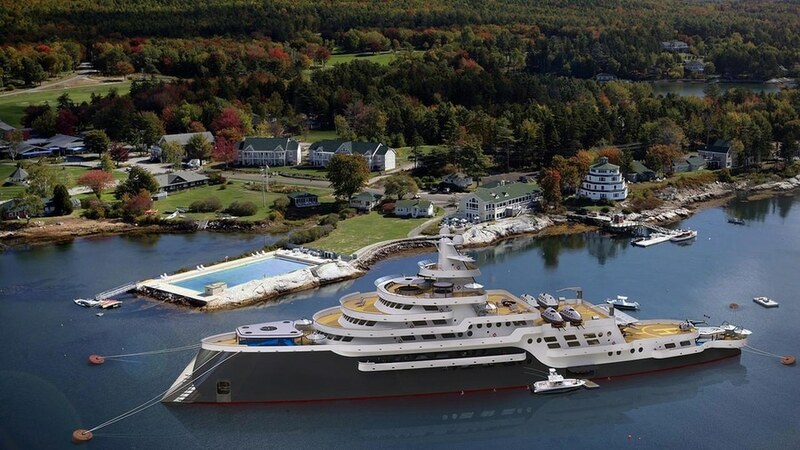 Alexis will feature three additional master suites, seven twin guest staterooms and a second swimming pool for guests at the bow on the foredeck. An open sky bar and two spas meanwhile will sit on the sixth level. 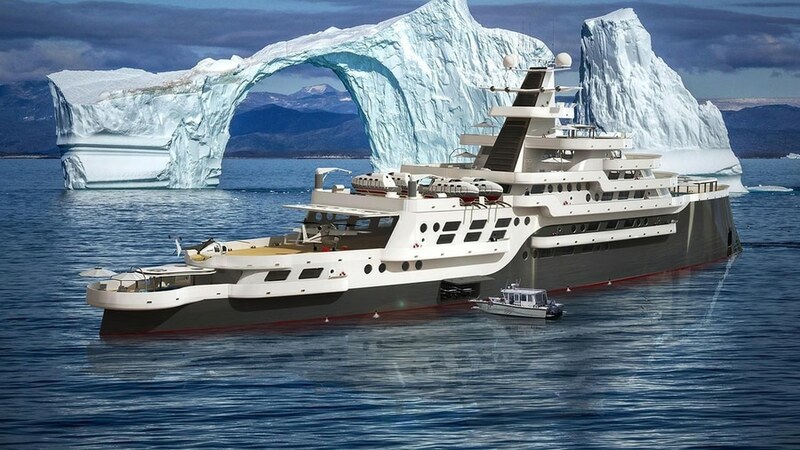 The expedition yacht is specifically designed to undergo long voyages at sea in rough weather, with a range of 22,000 nautical miles at 10 knots. Other key features include four freefall lifeboats and a landing area spacious enough to ensure safe aircraft operations in rough weather. The integrated aircraft hangar can store four small helicopters while two large cranes can load and off-load special research equipment. The garage meanwhile can hold two submarines, multiple tenders and other water toys. The yacht also features heated handrails and doors for use in Polar conditions. Alexis can be fitted with either a diesel-electric or hybrid propulsion system for a top speed of 14.3 knots or cruising speed of 10 knots.